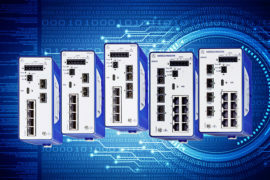 Originally largely reliant on discrete automation applications, growth in the market for industrial Ethernet switches is increasingly driven by use in infrastructure installations and process automation. These new opportunities, coupled with Ethernet’s continued cementing of its position as the industrial network infrastructure of choice, including for the coming Internet of Things, are fueling double-digit growth in this important segment. These are just some of the important changes documented in ARC Advisory Group’s most recent update on the industrial Ethernet switch market. Infrastructure applications ranging from smart grid implementations, in particular electrical substation automation, to intelligent rail, highway, and other transportation projects are increasingly reliant on industrial Ethernet. Continued reliance on the infrastructure markets for growth is evident in one of the largest growth markets, China, where electric power generation, power T&D, and transportation are the leading consumers of IE switches. 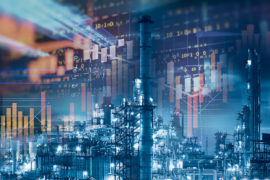 In process automation, industrial Ethernet is already the backbone network of choice at the control level and is now migrating to the device level. 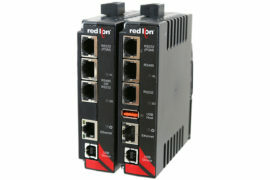 “Industrial Ethernet switch suppliers are faced with a widening landscape upon which to direct their strategies. 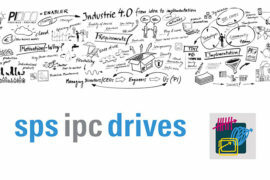 Device characteristics, standards support, toolsets supplied, and a myriad of other decisions must be driven by which market subsets are targeted,” according to Vice President Chantal Polsonetti, the principal author of ARC’s “Industrial Ethernet Switches Global Market Research Study”. 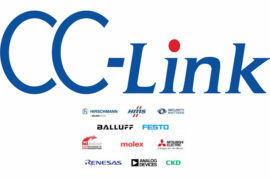 Industrial Ethernet is increasingly establishing itself as the common industrial network, displacing application-specific fieldbuses across a broad spectrum of industries. At the same time, these devices continue to adopt new standards from their COTS-based cousins in areas ranging from IEEE 1588 clock synchronization to IEEE 802.1x-based security to IEC 62439-3-based redundancy. 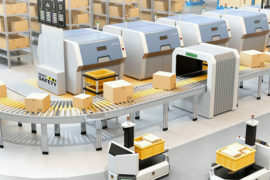 These attributes make industrial Ethernet the increasingly popular network infrastructure of choice for the coming Internet of Things and Industrial Internet. The expanded potential market and its varying functional and standards requirements results in a continued variety of switch configurations beyond the typical 5 to 8 port DIN Rail Fast Ethernet device. Increasing sophistication of industrial Ethernet offerings is evident in the number of configuration options available, including routing switches. Growth in the new category of “Lightly Managed” switches reflects the move to provide increased ease of use and configuration, particularly for the industrial or non-IT oriented customer. 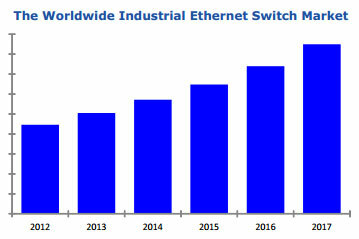 Concurrent with the market growth, the industrial Ethernet switch market has experienced a wave of acquisitions. While some were made as an entry to new markets, such as electrical substation automation, a number were made by suppliers of peripheral products (connectors, HMI, panel meters) looking to take advantage of surging interest in industrial Ethernet infrastructure in hope of pulling in their complementary product lines.